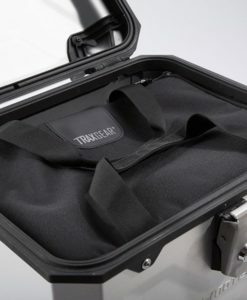 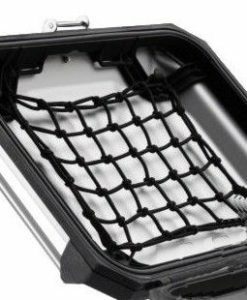 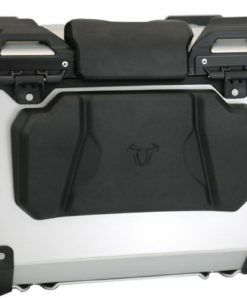 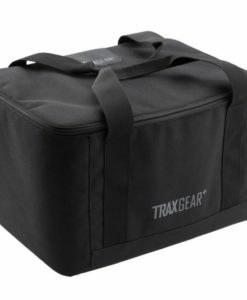 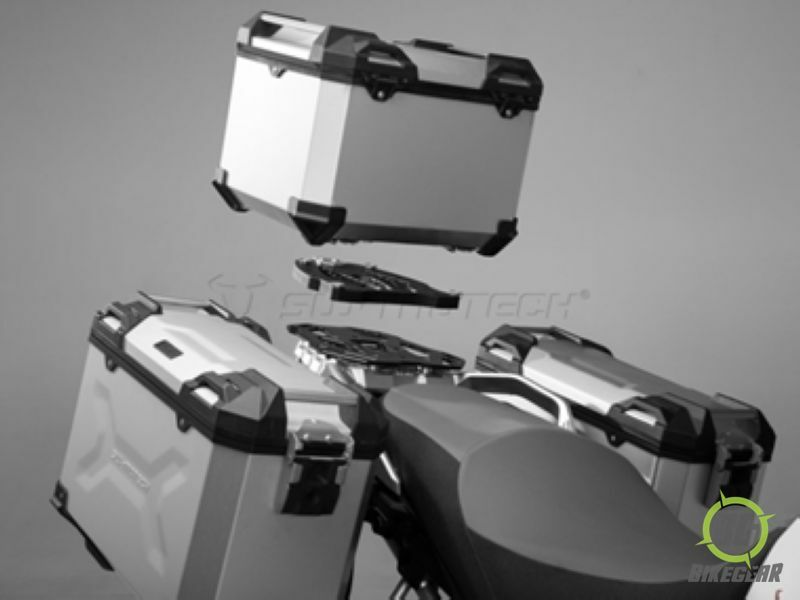 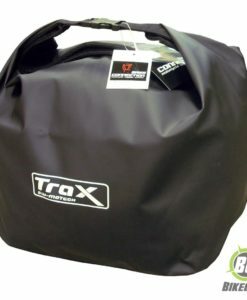 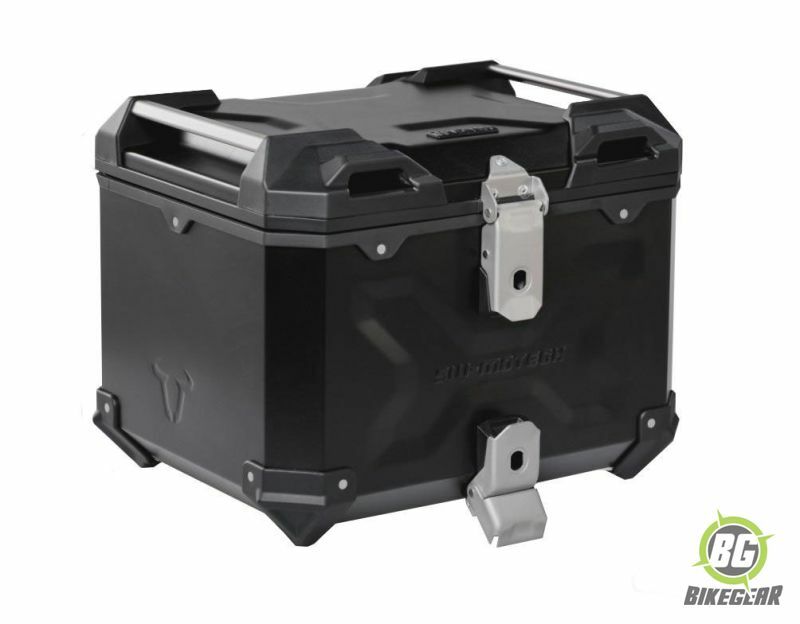 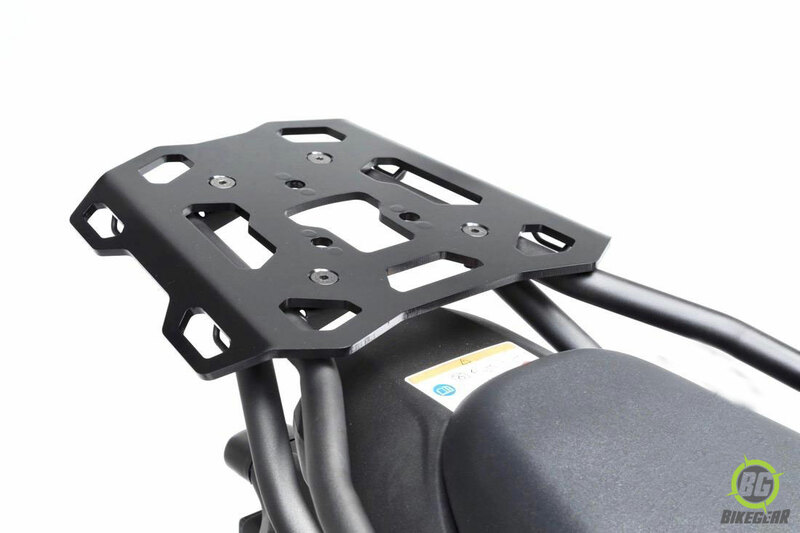 The sturdy TRAX ADVENTURE Enduro Top Box 38L  aluminum touring case accepts any challenge – whether you take your motorcyle off road, through the sloping curves of a relaxed road cruise or for a short trip to the city. 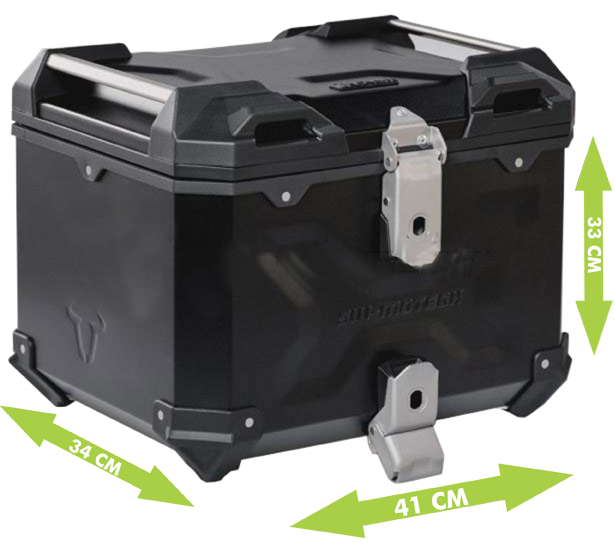 The sturdy TRAX ADVENTURE Enduro Top Box 38L  aluminum touring case accepts any challenge – whether you take your motorcyle off road, through the sloping curves of a relaxed road cruise or for a short trip to the city. The lid is reinforced by lateral ribbings, while embossed pattern lines add to the stability of the welded case body, consisting of 1.5 millimeter strong aluminum. 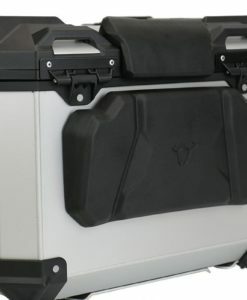 Corner caps made of glass-reinforced plastics offer additional protection. 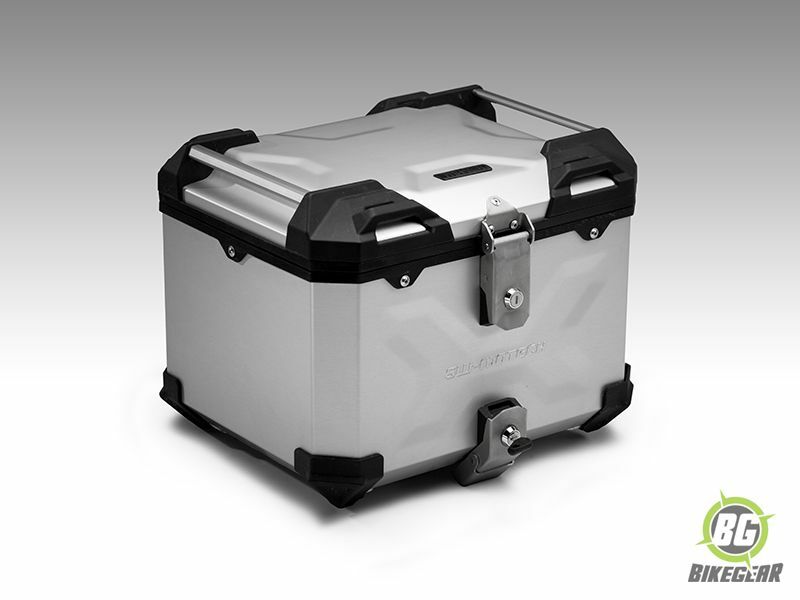 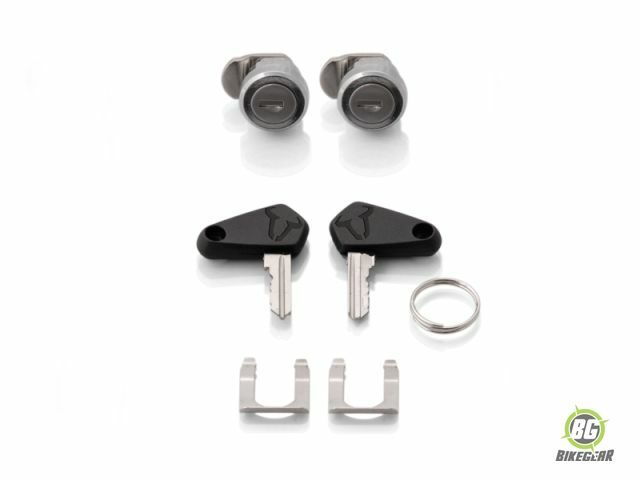 TRAX ADVENTURE aluminum top case, anodized in silver color or powder coated black.